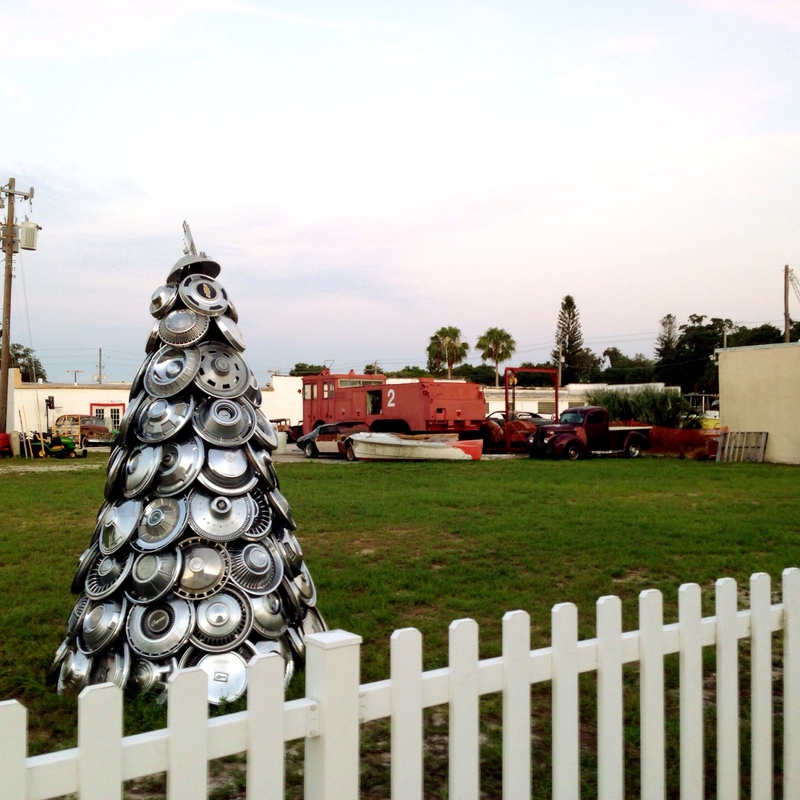 I’m going to sing it to my friends…..
Friday night I spotted this hub cap tree while we were driving thru downtown Palmetto. I believe it was on 9th Ave West near Sutton Park. With other old trucks and cars in the fenced lot, I’m curious what type of business is here and how this tree came about. In many parts of the U.S. there are automotive garages whose walls are decorated with hubcaps that have fallen off in the vicinity. When hitting a bump on bad roads, hubcaps have a tendency to fall off. I’ve seen quite a few spin off when a tire has hit a curb. With research, I found that hubcaps generally use clip-on retention or bolt-on retention. Either way, you could still lose a hubcap. Clip-on hubcaps can pop off when you suddenly hit a pothole or curbstone and bolt-ons can vibrate loose over time. 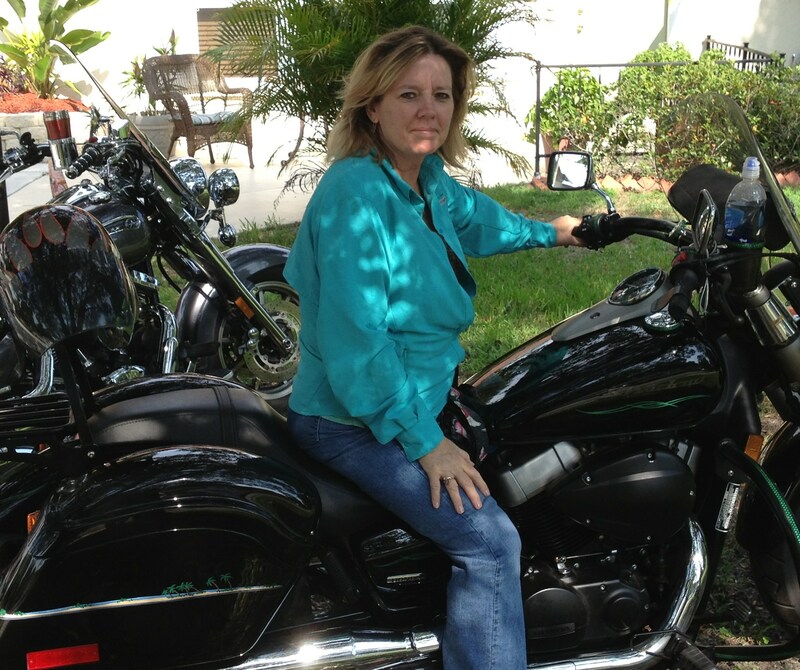 My husband shared this tidbit with me: If you are aware that your hubcap has just come off, look in front of you. The circumference of the hubcap is smaller that your wheel and it will spin and travel faster than you. So do not look for it behind you – look ahead. 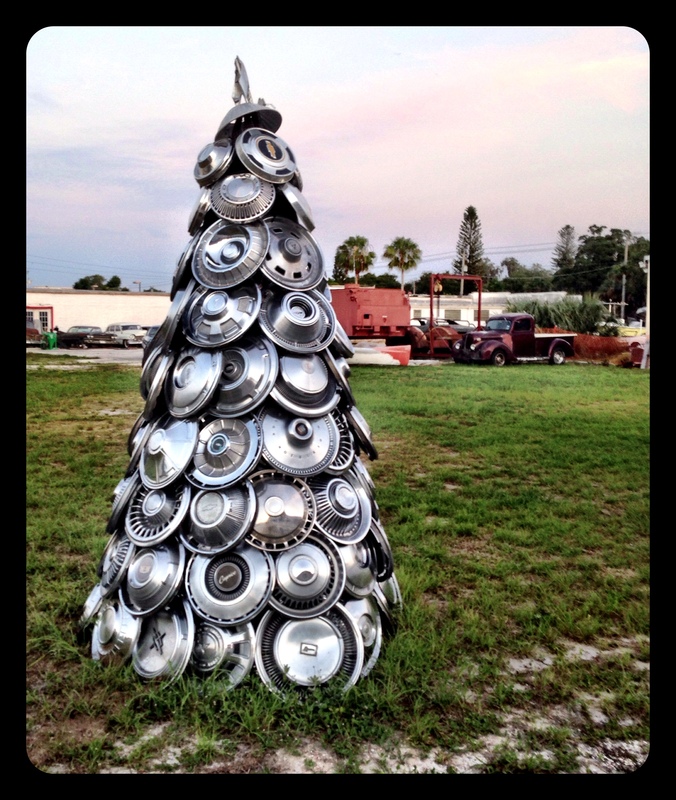 Categories: 52 week photo challenge, Lyrics | Tags: "Will it go round in circles" lyrics, 52 week photo challenge, art, Billy Preston song, Florida, hub cap tree, hubcap, junk yard art, Palmetto Florida, Parrish Florida, scrap art, Slicks Garage, Sutton Park | Permalink.